Chicago French Market will be celebrating the fall with its three-day Market Harvest, Thursday, Oct. 10 through Saturday, October 12. Vendors will be offering specials, samplings and showcasing new products. Enjoy deals including 10 percent off all Tea Kits and Tea Accessories at Bello Tea. "It's the perfect time to stock up for upcoming hostess gifts and holiday gift-giving," says owner Tammy Reddy. Swing by Pastoral Artisan Cheese, Bread & Wine, 4:30 p.m. to 6:30 p.m., Thursday, October 10 for a complimentary cider tasting. Pastoral will be pairing these ciders with some of the best artisanal cheeses from coast to coast in conjunction with American Cheese Month. During the Market Harvest, Delightful Pastries will be sampling a variety of its brownies. Also, on October 11, Delightful will be celebrating World Egg Day. For only $1 extra, diners can add egg and cheese to their popular Three Piggly Wigglys sandwich ($10) with Polish ham, lean crispy bacon, pan-fried-pork-cutlet, and pickles served on an "everything" bun. "October is the perfect time to celebrate the fall harvest," says Nico Hua, partner of Delightful Pastries. "We encourage our guests to enjoy our savory offerings including homemade, gluten free Butternut Squash Soup, The Thanksgiving sandwich, or enjoy a combination Sandwich and Soup for $10.25. Finish your meal with the pumpkin cayenne pepper cheesecake brownie, a pumpkin-shaped all butter sugar cookie, or take home a loaf of the pumpkin bread, all perfect for the Harvest Fest. Spicy Monkey will be offering pumpkin spice soup and its Thanksgiving Grilled Cheese sandwich; Superior Nut and Candy will have special hand-dipped candy and caramel apples; Oh Olive! will feature Red Apple and Cranberry Pear Balsamic, Autumn Harvest and Pumpkin Patch Teas, and Butternut Squash Sauce. Fumare Meats and Deli adds Harvest Kale Soup to its Harvest Fest menu, Frietkoten features American Craft and German Oktoberfest Beers, and Abbey Brown Artisan Soap show its Pumpkin Pie Soap. Just in time for fall! 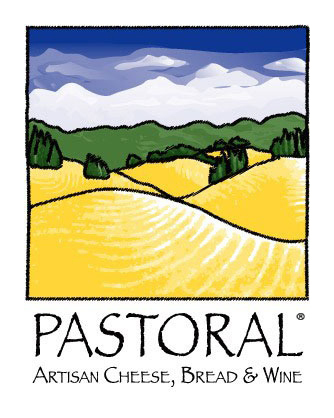 Swing by Pastoral 4:30 p.m. to 6:30 p.m. Thursday, October 10 for a complimentary cider tasting. Pastoral will be pairing ciders with some of the best artisanal cheeses from coast to coast in conjunction with American Cheese Month. American Cheese Month activities continue at Pastorial Artisan Cheese, Bread & Wine with their "Meet the Cheesemaker" series as Matthew Scott of Twin Maple Farm in NY showcases his award winning cheese, Hudson Red, 11 a.m. to 2 p.m., Saturday, October 12. This is a unique opportunity to taste this one-of-a-kind American original and to meet the man behind the curd.